GREETINGS FROM VM INFRA !! VM IS ONE OF THE SOUTH INDIAS LEADING PROPERTY DEVELOPMENT COMPANY OFFERING PLANED TOWNSHIPS STRATERGiCALY LOCATED IN PERANGALTHUR. WE ARE IN MARKET SINCE SIX YEARS AND PROVIDING INDIVIDUAL VILLAS AT LOW COST. WE ARE PROMOTING OUR SITE AMIRTHA GARDEN SPREAD OVER 20 ACRES DTCP APPROVED. 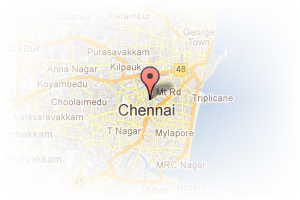 Address: kanagambaram street, Peerkankaranai, Chennai, Tamil Nadu, India. 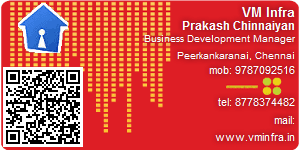 This Builder Profile page for "VM Infra" has been created by PropertyWala.com. "VM Infra" is not endorsed by or affiliated with PropertyWala.com. For questions regarding Builder Profiles on PropertyWala.com please contact us.